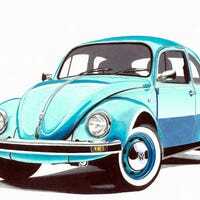 Post all the old Beetles! For reference, the A8L comes with a twin turbo 4.0L V8, making 450HP. The Mustang GT is naturally aspirated 5.0L V8, making 435HP. Why the minimal HP difference? Is it just the displacement difference or is there more to it? Because a twin turbo 5.0L supposedly makes 700+ HP. I'm closer to my 10 year high school reunion than my graduation... Porsche for your time. Does anyone have experience with both? I realize these aren’t exactly in competition, but they both speak to me. Focus ST is sportier, but less luxurious. Mazda 6 is a bit more grown up and more spacious from what I understand. Today I got a glimpse at the very rare Explorer ST. Worst photo ever of... What is that? Help me out, Oppo. Probably a kit car, but can anyone identify what it is? Newish car with high miles? What are your thoughts? I'm referring specifically to this 2012 Sonic with 142,000 miles that popped up at a dealer in town. Only $7,400 though! How bad of an idea would that be? I need to choose two software development electives for this semester, but I want to take them all! Help me decide? Are there enough FM5 XBOne players on Oppo to get some racing in? Either organized or not, I'm needing some more track races in my life. The posts from the Fourza Trans-Am Series have got my blood pumping, but alas I haven't a copy of Fourza nor a 360. I brought grapes & cheese to work for a nice breakfast snack this morning. HOWEVER, I unknowingly bought.... the devil seeded grapes. Almost puked. Now my morning is ruined. We sold the truck tonight! I have no reasoning, but I've always thought the newer VW shifters looked awesome. What are your favorites?